Every day you endure stresses and strains and your body absorbs them. But your body can only handle so much tension before the tissues begin to tighten and potentially aﬀect the brain and spinal cord. 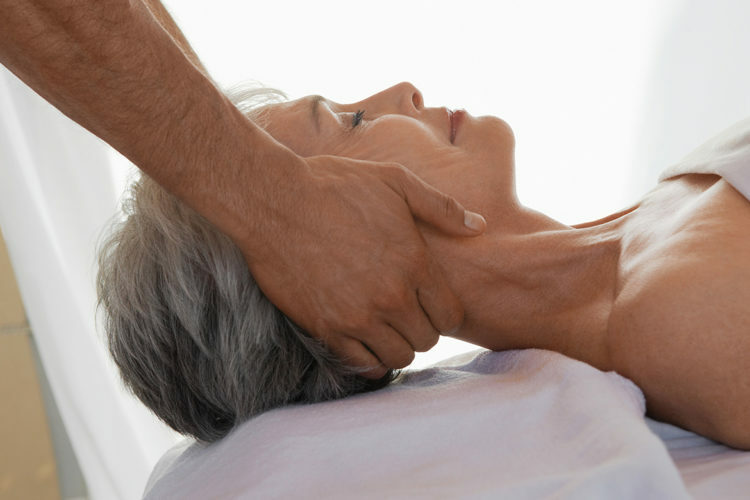 CranioSacral Therapy (CST) is a light‐touch approach that can create dramatic improvements in your life. It releases tensions deep in the body to relieve pain and dysfunction and improve whole‐body health and performance. Few body structures have more inﬂuence over your health and well‐being than your central nervous system. And few body systems have more impact on your central nervous system than the craniosacral system ‐ the soft tissues and ﬂuid that protect your brain and spinal cord. The cranio sacral system extends from the skull or the cranium down to the tailbone or sacrum. CranioSacral Therapy was developed by Dr. John E. Upledger, an osteopathic physician featured in the TIME magazine as one of America’s next wave of innovators. From 1975‐83, he was professor of biomechanics at the College of Osteopathic Medicine at Michigan State University. While there, he led a team of anatomists, physiologists, biophysicists and bioengineers and published the clinical research that formed the basis for the approach he named CranioSacral Therapy. In 1985, Dr Upledger founded the Upledger Insitute to teach people worldwide about the value of this eﬀec”ve approach. Nearly 100,000 have since been trained in CranioSacral Therapy. Orthopedic Problems & many other conditions.